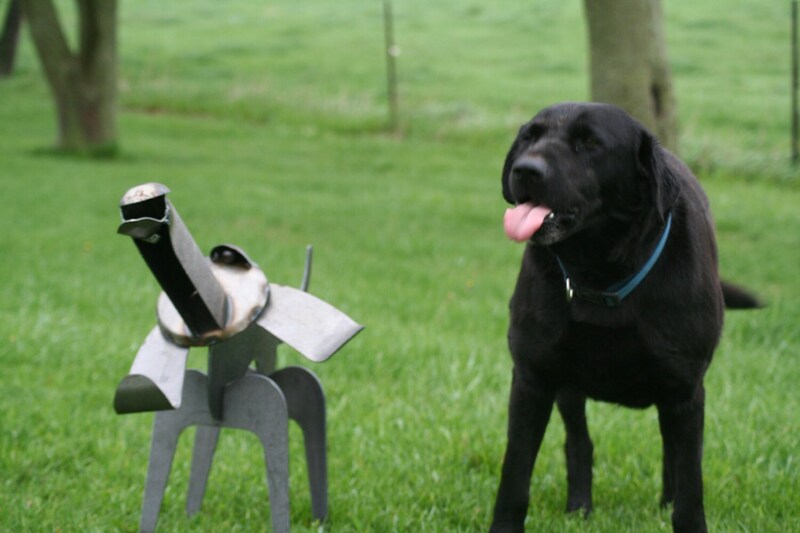 This steel dog sculpture is the perfect addition to any dog lover's landscape! Your dog will love him too! 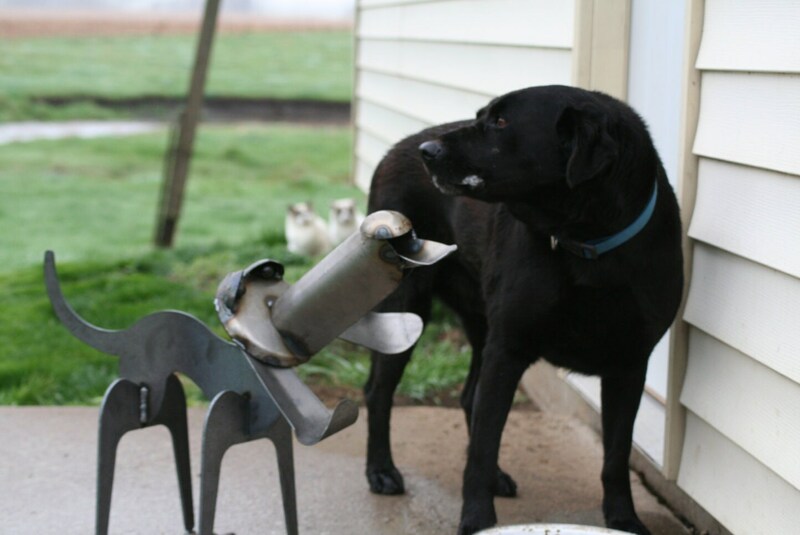 Cut from thick, heavy steel the dog will rust with time, but he's made to last for decades to come. 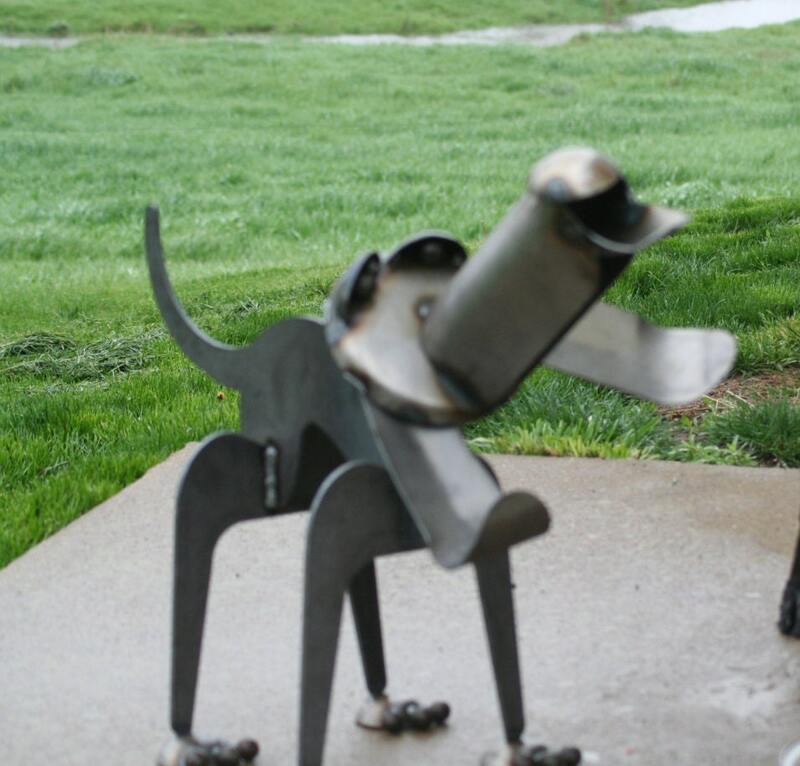 Feet, face, ears, nose and snout are bent by hand for this one of a kind dog statue! Steel will rust and patina with time, adding to the industrial look. This adorable dog is 18" tall and 24" long from nose to tail. He's ready to ship, so he can find a new home today! 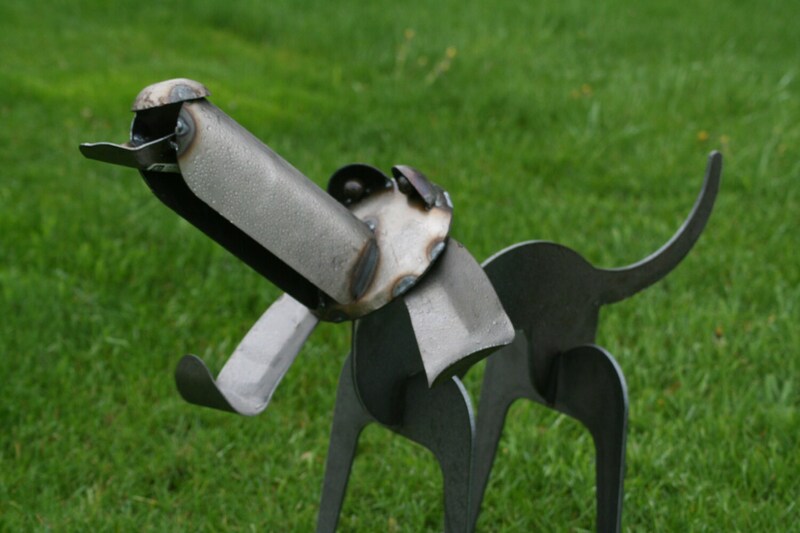 We hope you'll love our dogs and animal sculptures as much as we love making them! They are a favorite in the workshop! Awesome sculpture! Got it quick. Thanks.